If you need assistance with a domestic animal, such as a dog or a cat, you need to call your local Bibb County animal services for assistance. They can help you out with issues such as stray dogs, stray cats, spay & neuter programs, vaccinations, licenses, pet adoption, bite reports, deceased pets, lost pets, local animal complaints and to report neglected or abused animals. 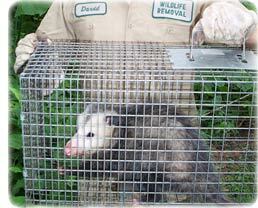 Animal Control Experts, LLC is an innovative solution to wildife removal. We have a combined total of 4 decades in the field of nuisance wildlife removal, along with many years more of training, education, and experience. You can be confident that your wildlife problem will be solved when you choose ACE. We are fully licensed, insured and professsionally trained to evaluate and implement distinctive services to solve anything from bats to beavers. Specializing in the management of urban wildlife, is what we are experts in. We are the best in the industry! We serve all of Bibb County, as well as parts of Monroe County, Jones County, and Wilkinson County. We serve the greater Macon area, and the smaller towns of Dames Ferry, Clinton, James, Bolingbroke, Culloden, Musella, Lizella, Dry Branch, Fitzpatrick, Huber, Bullard, & Knoxville. Macon is sometimes called the "Cherry Blossom Capital of the World" becasue it has about 275,000 Yoshino Cherry Trees, more than any other city in the world. During mid-March of every year, when the trees are in bloom, Macon holds the International Cherry Blossom Festival, a 10-day celebration of food festivals, arts and crafts shows, concerts, dacnces, parades, street markets, exhibitions of artists from around the country. Pink is the color of this event, since this is the color of the blossoms. The Festival has become among the top 50 events in the United States. Macon has also become one of the top 50 most rodent-infested places in the US. Call us if you are hearing scratching or chewing noises in your attic. We also service the towns Jeffersonville, Smarr, Lizella of and also animal control in Knoxville, Gray, Danville and pest control in Juliette, Haddock, Roberta and wild animal services in Musella, Bolingbroke, Dry Branch and wildlife management in Culloden, Forsyth. We provide professional wildlife control for both residential & commercial customers. We offer custom animal control solutions for almost any type of wildlife problem, whether it be a squirrel running through the attic, a colony of bats living in a building, or the destructive behavior of a raccoon. There are many pest control companies out there, but few of them are licensed and insured in the removal and exclusion of wildlife. We offer removal and control services for all wild animals, specializing in Geese, Coyotes, Beaver, Bats and Birds. We have the experience and the tools to quickly and professionally solve your problem. To resolve your wildlife conflicts, give us a call. Our business is fully licensed and insured to serve the greater Middle Georgia area, including the towns of Macon, Warner Robins, Gray, Milledgeville, Eatonton, Monticello, Juliette, Forsyth Gordon, Griffin, Thomaston, Barnesville, Roberta, Fort Valley, Perry, Centerville, Byron, Bonaire, Dublin, Eastman, Cochran, and many other smaller communities. We will be courteous and friendly and take the time to answer your questions. Give our office a call to make an appointment for an inspection. When You Have Nothing Else To Do, Go Rodent Catching - Well, that's not really true. If you do go rodent catching, then you probably have good cause. If you have a rodent anywhere inside your house, you definitely want to get it out from there. Rodents are some of the cutest but also some of the most destructive little animals. They are just doing what rodents do. They have no design to make your life difficult. If they see an opportunity to have a more convenient nesting place, they take it. If your house happens to be part of that nesting place, the rodent won�t mind. To catch a rodent, you may want to get yourself a live trap. These can be purchased in different stores that sell hunting equipment. You may even find live traps in certain pet stores. Set your trap up in the attic or wherever your rodent lives. Bait the trap with the goodies rodents like. Peanut butter and bird seed is a good choice. Nuts may be also a temptation. After you have caught the rodent in the trap, take it for a ride. Drive at least several miles away your home so that the rodent won�t find its way back. Then let it go into its new neighborhood. If Macon Mayor The Animal management fails to honor his promise to fire Mr. The animal and dog veterinary specialist and to hire a compassionate and experienced General Manager who can implement a no-kill plan and reform the department, he may find that the animal community is politically-speaking The County Dog and Cat Control, significantly increased bite than bark. For significantly increased information, call the animal services of Macon, Georgia. The earth is starting to tremble in the Macon animal community because Mayor Antonio The Animal management has refused to honor his January 2005 campaign promise to fire the General Manager of Macon Animal Services Guerdon. Though they may offer assistance with the cuddly pets, don't expect help with growling wild critters. The animal and dog veterinary specialist, and this broken promise has drawn attention to a potential scandal involving a loss of $1.1 million to the metropolis over the next three years. Even fiscally responsible Georgians who do not ever care about Felines and puppies or adult canids can be officially outraged. Animal and carcass elimination services in Bibb County is dedicated to helping Georgia and Macon. Pet advocates might have let the mayor out of the doghouse on his pledge if The animal and dog veterinary specialist had reformed the department, fostered relationships with the community and saved animal lives. But according to a manager. No response was issued by Bibb County animal services. It wasn't until June, however, that the city officially decided it was going to run the Indio facility itself. Planned improvements include creating an off-leash barking wolflike dog park for kennel animals, constructing a waiting area and adoption room, replacing the chain-link fence, slathering on a new coat of paint, hanging new lights, and installing a new heating and air conditioning system. KPRS Construction Services is being recommended by Mark Wildlife Management, the Indio facilities and construction manager, to handle the improvements, Wildlife Management said. The Inland Valley Humane Society in Pomona, which provides services to 11 cities and county areas, also suggested KPRS. Remember, for a dog/cat problem, call (478) 751-9200, and if you need wildlife removal service in Bibb County, call Animal Control Experts, Inc.: 478-488-3003.